When will be 101 Awards next episode air date? Is 101 Awards renewed or cancelled? Where to countdown 101 Awards air dates? Is 101 Awards worth watching? 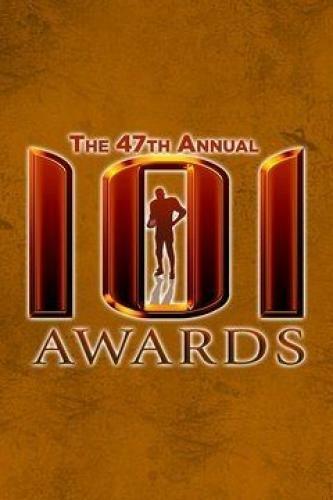 Following each National Football League season, a civic organization called "The Committee of 101" hosts the 101 Awards, Kansas City's Salute to Professional Football. This nationally-renowned event was initiated in 1969 by a group headed by Kansas City businessman Jack O. Wheeler to honor outstanding achievements in professional football. Awards presented to the top Offensive Player, Defensive Player and Head Coach from the AFC and NFC. From Kansas City, Misouri. 101 Awards next episode air date provides TVMaze for you. EpisoDate.com is your TV show guide to Countdown 101 Awards Episode Air Dates and to stay in touch with 101 Awards next episode Air Date and your others favorite TV Shows. Add the shows you like to a "Watchlist" and let the site take it from there.